THE FASTEST AND MOST SECURE WIREGUARD VPN ROUTER ON THE MARKET! 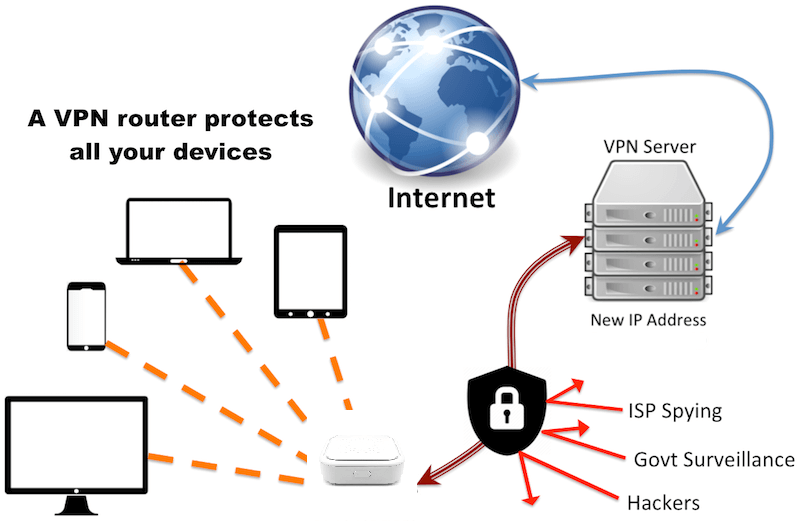 The VPN Router that protects all your devices! Your computer gives out all kinds of information about you, unless you use a VPN service. It shows what browser you use, what device, and worse of all - it shows your true IP, which in the digital world works just like having your home address out in the open. Now imagine all your smart devices in the house - computers, streaming devices, PlayStation, XBox, even your smart thermostats - they all leak that information constantly! You can have ALL YOUR DEVICES covered using our state of the art WireGuard WiFi VPN Router! All devices are supported. If the device uses internet via WiFi or cable - it can be protected! Encrypt all your IPTV streaming devices, to ensure fast speeds and complete online privacy, and best possible routing to the IPTV servers! Encrypt all your IoT devices - thermostats, cameras and more, to ensure fast speeds and complete online privacy! Encrypt all your computers, to ensure fast speeds and complete online privacy for browsing, banking, streaming and more! Encrypt all your mobile and gaming devices, to ensure that nobody can ever hack you, or find your real IP! Android, iOS, Xbox, PS and more are supported! Grab your Hidden WiFi VPN Router now! Ultra Fast VPN Our service is based on the WireGuard VPN protocol, which ensures always fast speeds. US, Canada, Europe, Australia and Asia Premium Bandwidth Servers We are focused on speed. So all our servers are utilizing between 1 and 10Gbps servers, conveniently located on major hubs, providing the fastest speed possible. One flat monthly fee for the VPN service Our VPN service costs $9.99/month. No overages, no hidden fees, and absolutely no logging. Just fast speeds. We will provide support for all our devices, forever. As long as you are using our services - you will get support from us. You can contact us either on Live Chat, Facebook or Email! 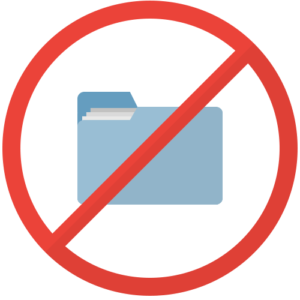 To ensure that all our customers browsing is completely secure - all our servers come with absolutely no logging. 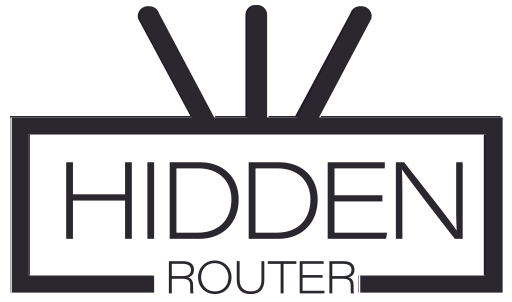 What exactly is Hidden Router? 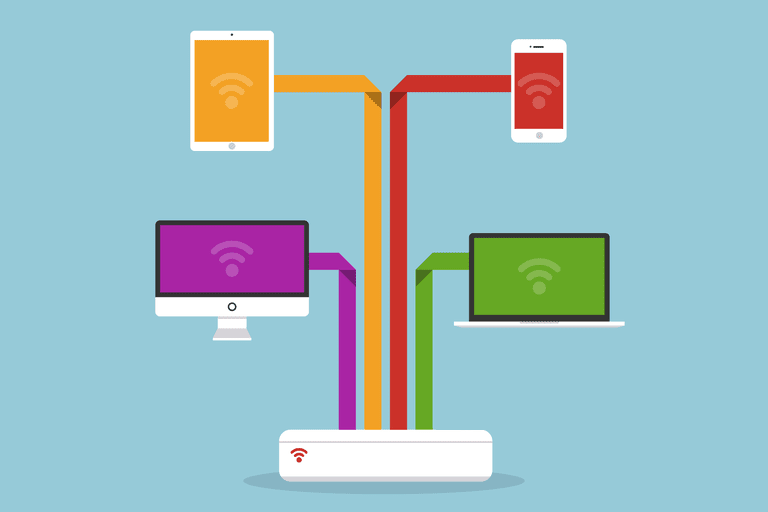 There are quite a few reasons why you need to protect your traffic with our router. Some of them are to hide yourself from the always-listening government and protect your basic right of freedom of speech. You will also protect yourself from different hacker attacks, by not allowing any third party trying to hack you to know where exactly are you located, and also by encrypting all of your traffic, so even if they somehow manage to get a hold of your traffic - it is all scrambled, and unreadable! As of 2017 - your Internet Service Provider (ISP) can and does sell all your browsing activity, including sites that you visit. They also tend to block certain websites. By using our device - you completely hide all the information transmitted, kind of like a pipe between your Hidden WiFi Router and our servers, so the ISP can not see nor track anything, ever! Multiple server locations within the United States, Europe, Australia and Asia, premium unlimited bandwidth! There are many VPN services out there. However they do require you to run them on specific operating systems, with specific apps, and so on. This is why we decided to create one device, that covers all other devices. You want to use it on your streaming device? No problem. On your phone? No problem! It is as simple as connecting to your existing router. Either connect it via one of the available gigabit ethernet ports, or connect it to the HiddenRouter WiFi network, and you are set! Usually a person online is identified by their IP address. 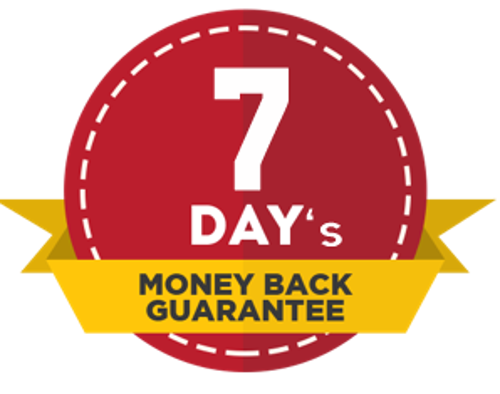 By using our service - we switch yours to one of ours, so it looks like you are coming from a completely different location, this way you leave no tracks! Anonymity at its best. This way you also block all kinds of tracking from your ISP, you block all malicious attempts to hack your home network and helps prevent people from finding out your sensitive data, like your online banking, social network login information and much more! Don't see a server in your state/country? No problem! As long as you live nearby a country or a state that has a server - you will still be able to push the maximum of the speeds. ALL US states are completely covered with full speed and low latency. Our American servers utilize premium bandwidth, which is very well peered, meaning - even if we do not have a server within your country - you can still get almost full speed from most of our European servers. ALL EU countries are also covered with full speed and low latency. Our European servers utilize premium bandwidth, which is very well peered, meaning - even if we do not have a server within your country - you can still get almost full speed from most of our European servers. Basically if you are anywhere in the US, Canada, Europe, Australia, even Africa and Asia - we have you covered with ultra high speed VPN servers. Our device and service are ideal for online gaming and streaming, providing low latency and extremely high speeds!